This is adapted from one in Delia Smith’s ‘Summer Collection’. 1 First make the Parmesan shavings using a potato peeler. Put on one side. 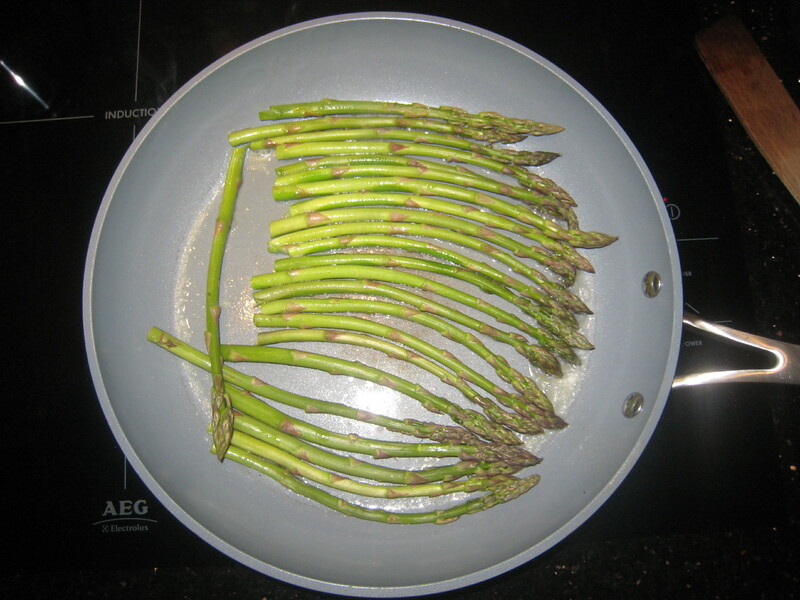 2 Heat the butter and oil over a high heat, put the asparagus in carefully and turn the heat down to medium immediately . Turn the stalks around until they are all glistening and beginning to brown a little. They’ll take only about 3-4 minutes, depending on their thickness. 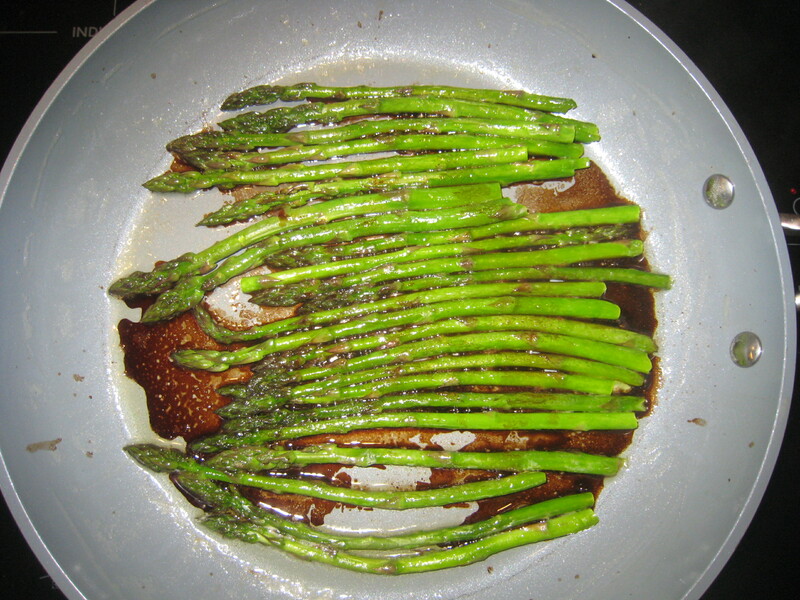 3 When they are done, turn the heat off, add the balsamic vinegar and keep them warm. 4 Now poach the eggs. 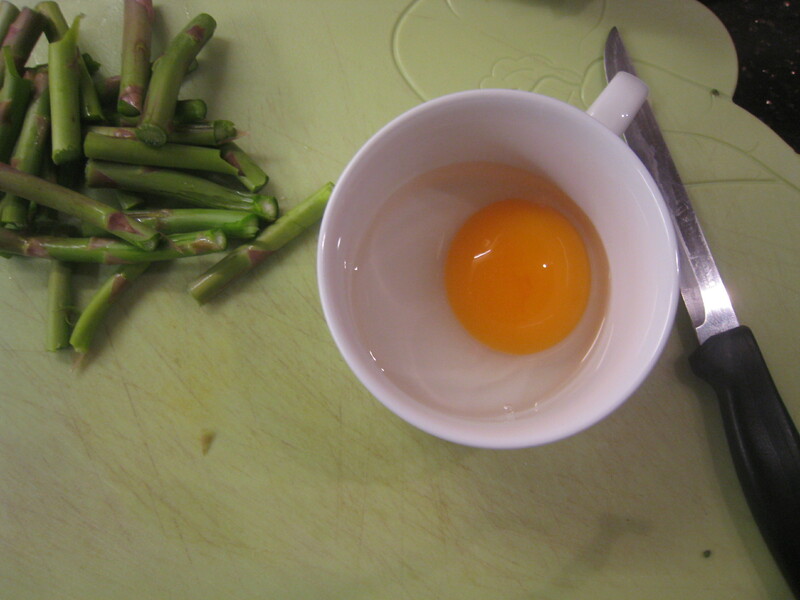 Into boiling water put 1 tbsp white wine vinegar and swirl the water prior to adding the eggs. Poach to suit your taste (I like the yolks sticky not too runny) Delia Smith suggests fried eggs, hen or quail. 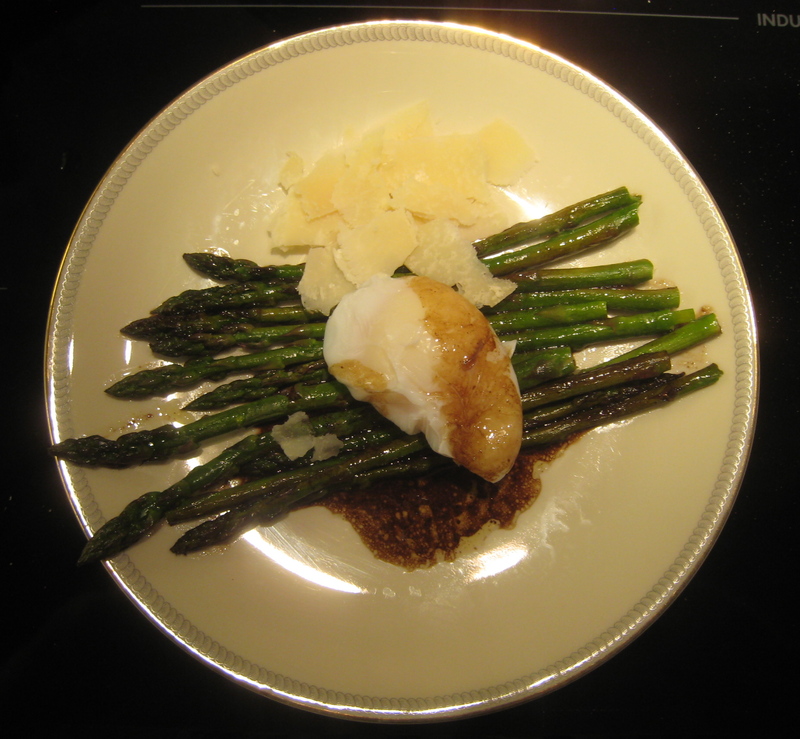 5 Arrange the asparagus onto warmed plates, top with a poached egg, pour the juices over and add the Parmesan shavings. 6 Enjoy this simple and stunning summer meal!